My daughter Alyssa got this idea from Pinterest - isn't that where we get most our ideas now days? 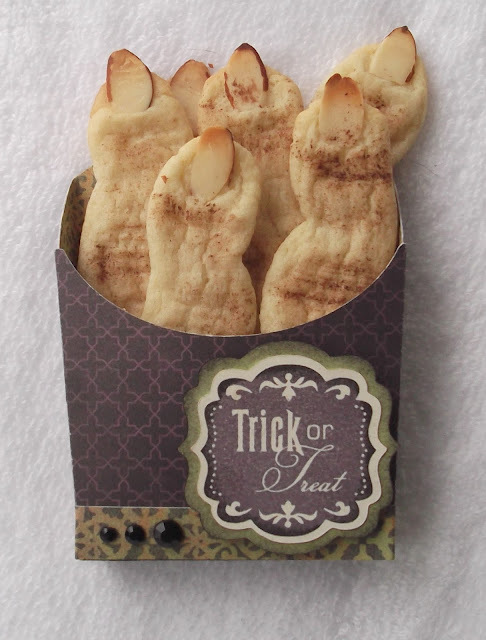 Witchy Fingers are made with sugar cookie dough and then presented in a French Fry holder from the the Art Philosophy Cricut cartridge. The papers, of course, are Moonlight. Cookies and box are by Alyssa. 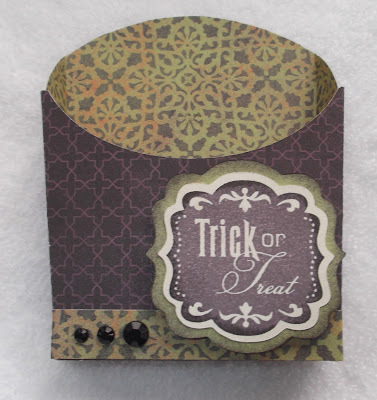 If you missed the Paper Trail blog hop featuring these papers, you can pick it up here.